Despite Sydney’s residential development market showing no signs of slowing down, a tighter lending market is leading developers to downsize to less risky projects. Colliers International Associate Director of Development Sites Ryan Bennetts said this has led to strong demand from high-end boutique projects in AAA+ locations such as the Lower North Shore, CBD Fringe and Eastern Suburbs. “We are seeing a growing trend of larger developers now looking for development approval for 15-30 apartments rather than 50-100 to ensure pre-sales cover debt and help secure lending. "Large Asian/local developers are both proving to be in this category when they never would have looked at boutique residential developments some 12 months ago," he said. Mr Bennetts and his colleague Joseph George, in conjunction with Tom Appleby from Colliers’ Investment Sales team, recently sold 34-40A Falcon Street, Crows Nest for circa $7 million to a Chinese buyer. The offering comprises three commercial freeholds with approval for a 14 unit mixed-use development. 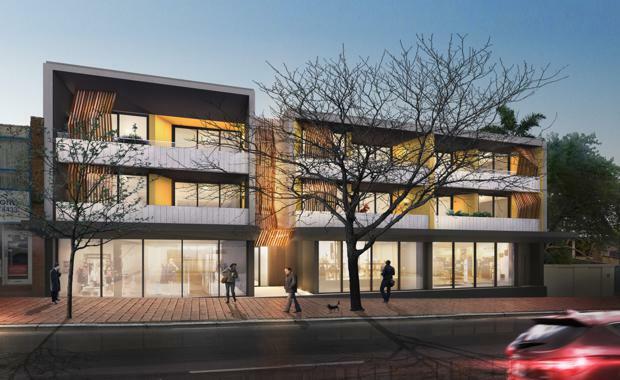 Mr Bennetts said he has also seen unprecedented success with Coterie a new residential development at 53-57 Atchison Street, Crows Nest having achieved debt cover for the developer in the first two weeks of launch, a feat which is very rare in this current pre-sales market. “Crows Nest remains the most highly sought after location on the North Shore,” Mr Appleby said. Another trend which is emerging as an added bonus for developers is the inclusion of a retail component on the ground floor of new developments; a popular choice for Crows Nest’s renowned foodie culture and current array of dining options. Fratelli Fresh has just secured their first Lower North Shore location at 118 Willoughby Road, taking over the former site of Bavarian Bier Café, with plans to open this summer. Bills restaurant is also rumoured to be looking in the area, which Mr Bennetts said will further cement the strength in the market and demand from quality operators looking to secure a spot in the North Shore market.